I’m one of the lucky ones. My grandparents spent winters in the Florida Keys so I’ve been to Key West many times. I have seen the drag queen lowered in her giant shoe at midnight on New Year’s Eve. I’ve sipped beers in Sloppy Joe’s, Captain Tony’s and even the Hog’s Breath Saloon. I know which museums are good (Hemingway’s Home, and the Little White House to name two), and which to avoid. 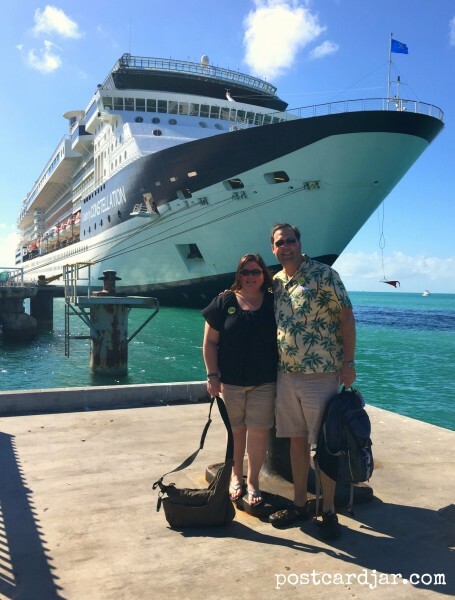 On a recent cruise when our first port of call was Key West, I had a certain “been there, done that” feeling and didn’t really want to go ashore. I was happy to stay on the ship sipping cocktails while soaking up the sun, which is why I was so surprised by what I saw as we slid into port. Standing on the balcony of our stateroom as we docked, I saw Key West in a completely new way. If you’ve ever been to Key West when a ship is in port, you know that the ship is the tallest structure in town by far. From my balcony on Deck 11, I could see across the island and enjoy a birds-eye view–a unique perspective that made me excited to step off the ship and into the familiar streets of Key West. Ann and I were traveling with our daughter, Meghan, and Ann’s mom, Carol and it was my mother-in-law’s first visit to Key West. Because Carol had never been to Key West, I followed a longtime Teget family tradition, and took her for a ride on the Conch Train. 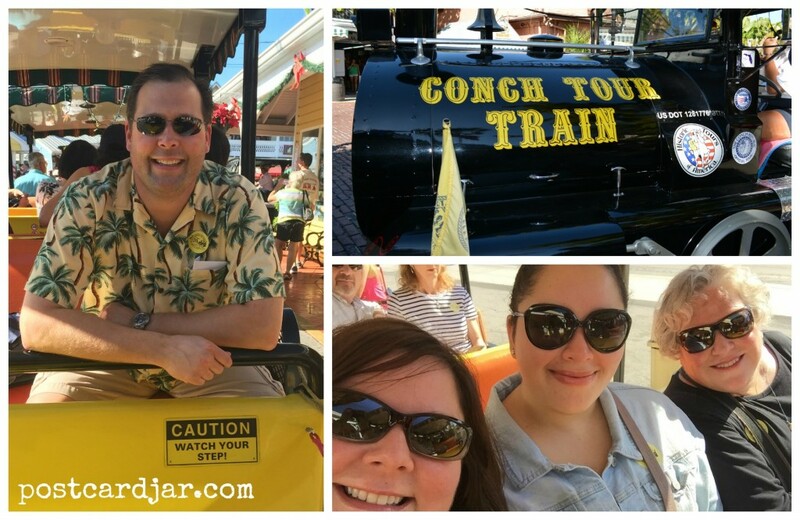 I admit that the Conch Train is very touristy–but it’s worth it because the ride gives a great overview of the island, it’s history, architecture, vegetation, people, industries. It also answers the question as to why there are chickens running free everywhere!! I’ve ridden the Conch Train more times than I can count, but learn something new each time I ride. 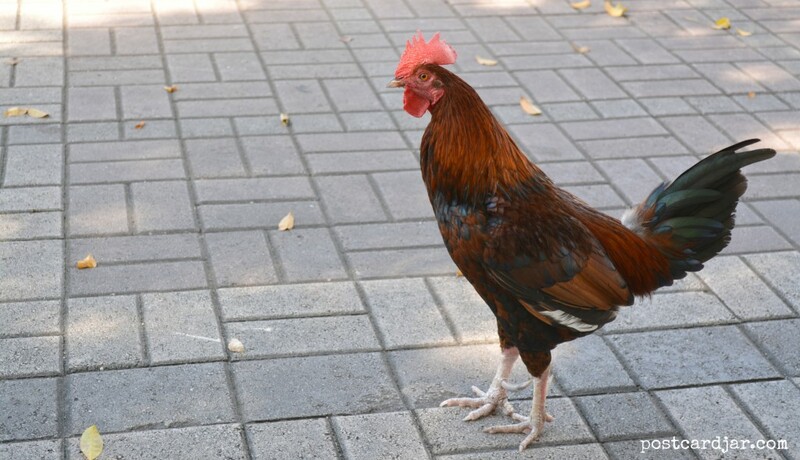 One time, I learned that England has one queen, but Key West has 56! On another ride, I learned about how the sponging industry changed the history of the town. 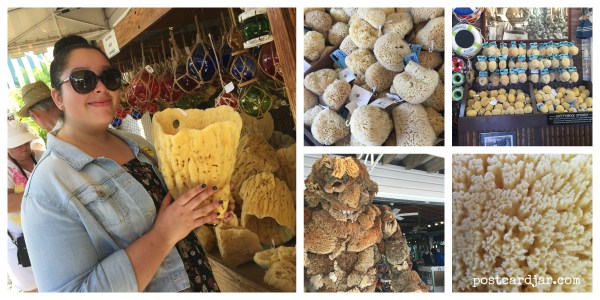 If you go there, check out the sponge market where you get off the Conch Train; natural sponges can make great gifts! Meghan checking out the basket sponge at the Key West Sponge Market. Key West (and all the Florida Keys, for that matter) is a place where nothing is too important or taken too seriously. The pace of life is just a little slower, and people there are more relaxed. They don’t get caught up in the minutiae of every day life. Maybe it’s the sun, maybe the ocean breeze. Maybe it’s a cold beer available every ten feet as you walk down the street and a lack of open-container laws. Whatever it is, it counters that deep-down tiredness you feel after living the rat race for too long. It’s a feeling that is hard to describe; it has to be felt to be known. By the time the ship’s horn sounded and we glided out of port, I was glad to have made another visit to Key West. I felt like I’d visited an old friend, one who is always there to rejuvenate me. One who helps me forget the trivial distractions of everyday life and focus on the important things — like spending more quality time with the ones I love. Great article! And nice to know that Key West can still be surprising! Thanks, Gayle! It was great to be back in the Keys. 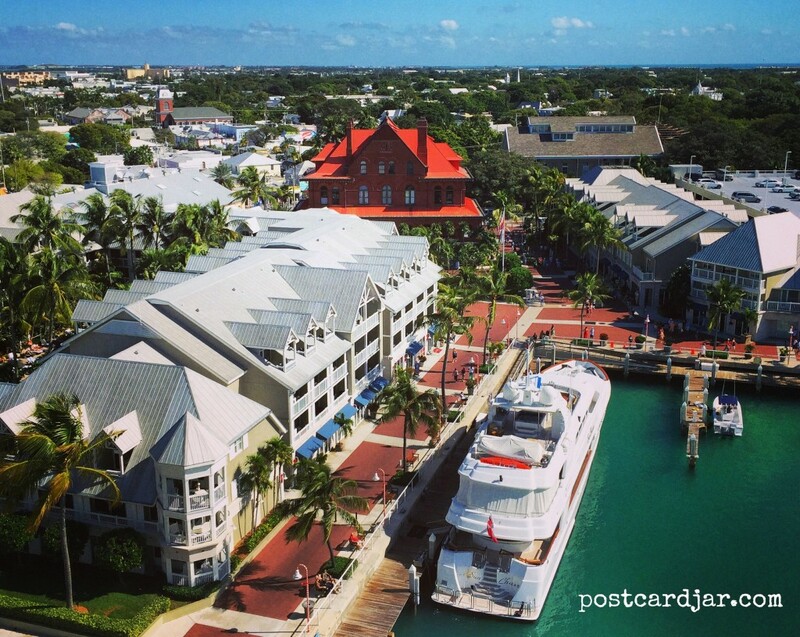 What do you like most about Key West? Do you have any recommendations for things to do or see?